Pumpkin Seeds are great freshly-ground and used as a salad-topper. 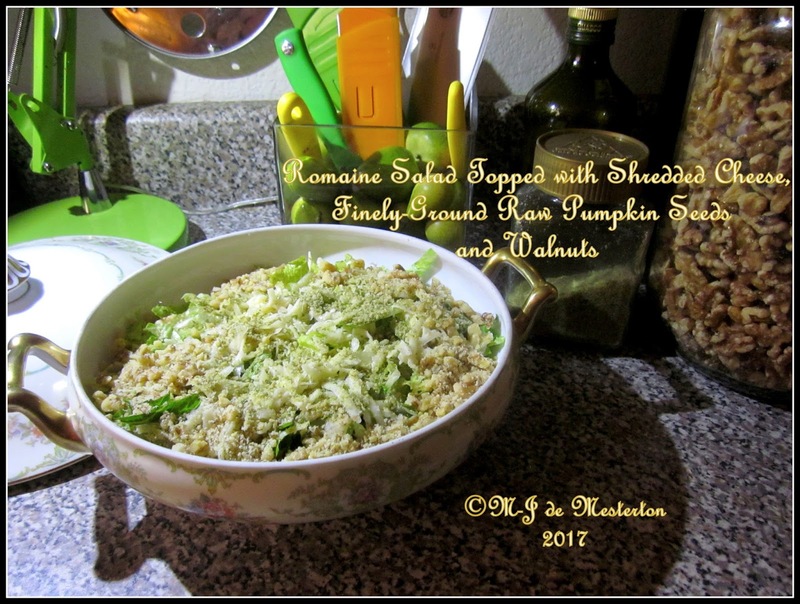 Here is a salad topped with both ground raw pumpkin seeds, Cheddar cheese and walnuts. “Pepitas”, as they are called in Spanish, are delicious when toasted in a pan with a teaspoon of coconut oil and about a half-teaspoon of salt per cup. 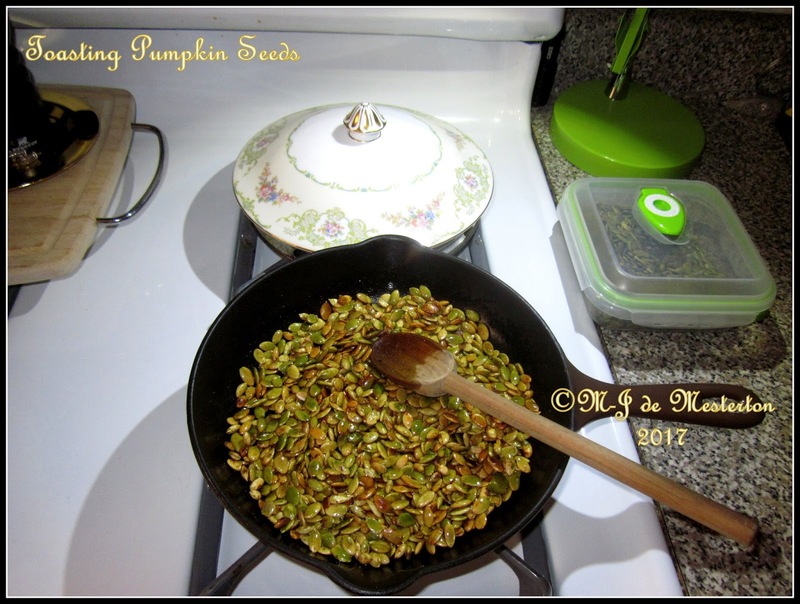 Stirred frequently with a wooden spoon, my pumpkin seeds were ready after ten minutes in a medium-hot cast-iron pan. 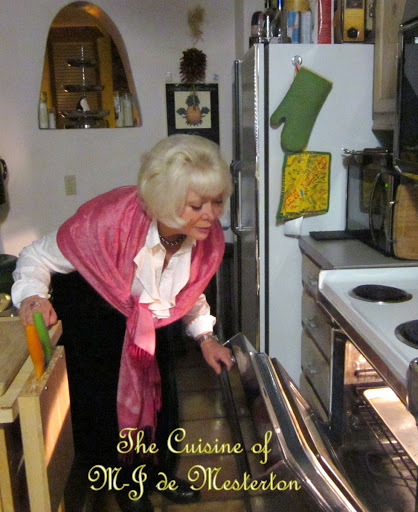 Another method is soaking the seeds overnight in water, lemon juice and salt, draining and toasting them in a moderate oven. Pumpkin seeds are a rich source of zinc, iron, magnesium, omega-3s, are low in carbs, and three tablespoons of them contain eight grams of protein. Pumpkin seeds have properties that are used in an efficacious treatment for parasites. Storing ground pumpkin seeds in the refrigerator in a jar will preserve their freshness. While antioxidant nutrients are found in most WHFoods, it’s the diversity of antioxidants in pumpkin seeds that makes them unique in their antioxidant support. Pumpkin seeds contain conventional antioxidant vitamins like vitamin E. However, not only do they contain vitamin E, but they contain it in a wide variety of forms. Alpha-tocopherol, gamma-tocopherol, delta-tocopherol, alpha-tocomonoenol and gamma-tocomonoenol are all forms of vitamin E found in pumpkin seeds. These last two forms have only recently been discovered, and they are a topic of special interest in vitamin E research, since their bioavailability might be greater than some of the other vitamin E forms. Pumpkin seeds also contain conventional mineral antioxidants like zinc and manganese. Phenolic antioxidants are found in pumpkin seeds in a wide variety of forms, including the phenolic acids hydroxybenzoic, caffeic, coumaric, ferulic, sinapic, protocatechuic, vanillic, and syringic acid. Antioxidant phytonutrients like lignans are also found in pumpkin seeds, including the lignans pinoresinol, medioresinol, and lariciresinol.